The Just Do It Stack! Soft and subtle with lots of beautiful energy. A PERFECT graduation gift or Mothers Day.. 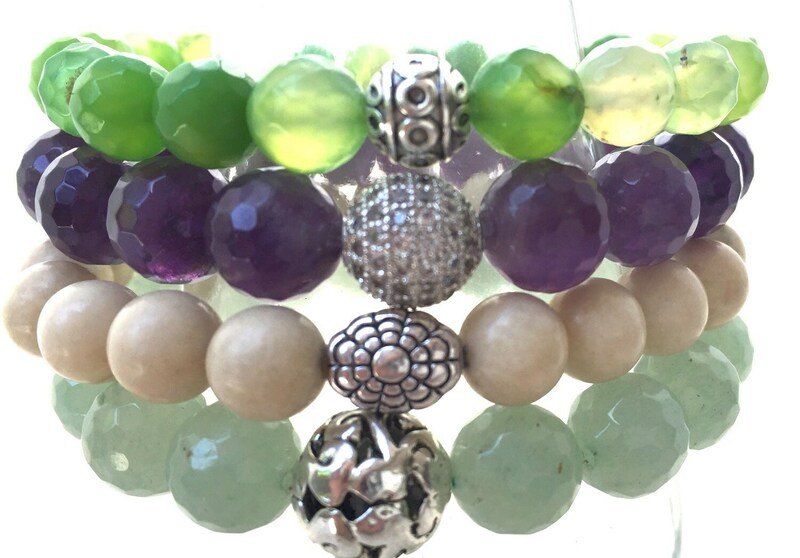 This stack worn all at once is fabulous! The Amethyst by itself is stunning and completes the stack. The blue/green agates and the fossil stone bring it all together really well. 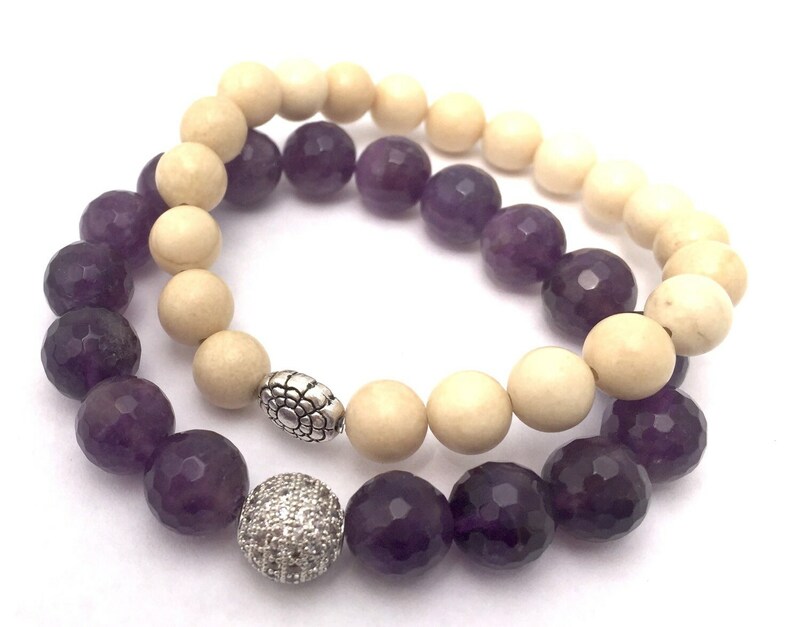 Wearing this stack will motivate you is a positive direction! 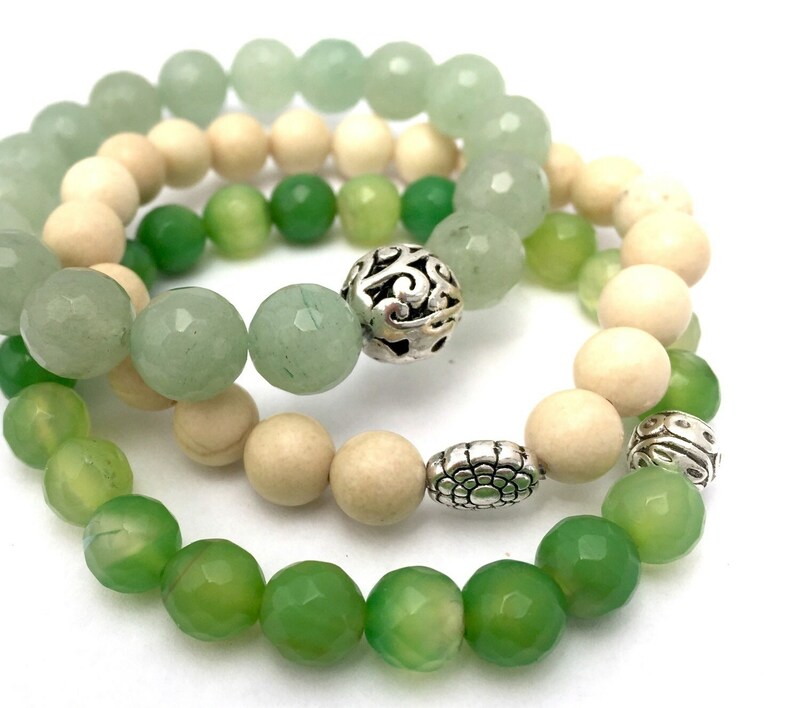 10mm Faceted Light Green Aventurine . Agate is said to support focus and concentration, increases stamina and stability and self confidence. 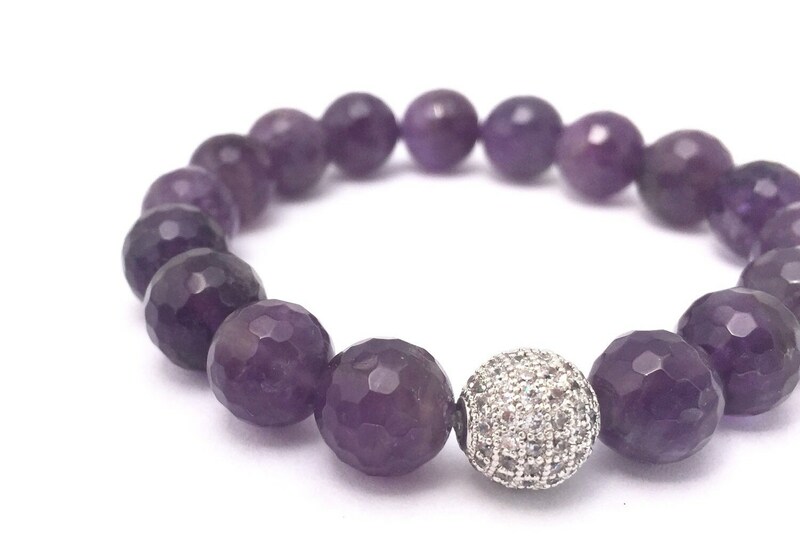 Amethyst is a very soothing and calming stone. Fossil is a stone to help you get things done! Please choose your bracelet size from the drop down menu. 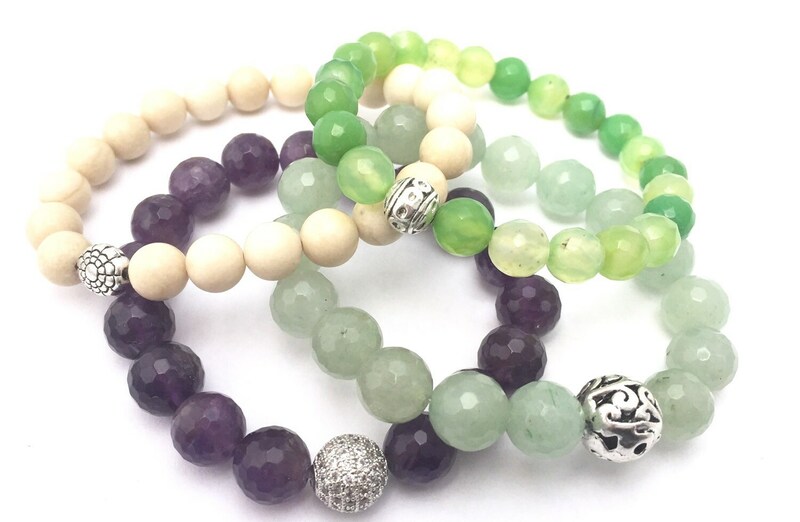 You will want you bracelet to be larger than your actual wrist size for comfortable movement. Sturdy Stretch Cord easy slip on and off design. No clasps to deal with.